Fluoroxygen + C is designed to deal with skin problems like skin discoloration and photoaging. The line's products are clarified the upper layers of the epidermis and regulating the production of melanin in the deeper layers of the skin. In conjunction with the products for home use professional proudcts Fluoroxygen + C. The effects will provide long-lasting protection against the influence of biological and environmental factors that cause skin dicoloration. Apply a thin uniform layer of cream on top of the VitaC-Clear Night Serum each night. Massage until absorbed. For dry or sensitive skin, apply 3 times each week for the first month, 5 times each week for the second month and increase to nightly use from the third month onwards. Note: As a normal reaction to this powerful treatment, skin may be drier than usual due to the Retinol and Glycolic Acid peeling effect. Clients with thinner and more sensitive skin may also experience a stinging or heating sensation and reddening of the skin. Following exfoliation, Christina - Fluoroxygen pH Rebalancercalms irritation and contracts the clean..
Operating deep within the skin at the basal layer, Christina - Fluoroxygen Vita C-Clear Night Serum ..
Christina - Fluoroxygen EyeC Eye Cream is infused with an anti-aging formula to remove dark circles ..
Buy quality cosmetics with care and ease. Our site is based on the belief that the needs of our customers are of the utmost importance. We are committed to meeting those needs. As a result, a high percentage of our business is from repeat customers and referrals. In our store you can buy cosmetics of Holy Land, Christina, GIGI, Anna Lotan, Dr Kadir, Kart, Renew, Magiray, Hikari, Tapuach, NBC Haviva Rivkin, SR Cosmetics and more. Subscribe to hear about all our news and sales Subscribe! 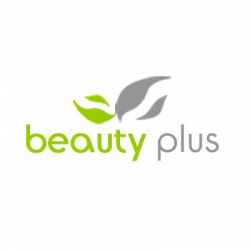 Copyright © 2010-2018, Beauty-Plus-Shop, All Rights Reserved.